Today's post features a brand that has been on here once or twice already. It's called Ellagee!! I first stumbled upon this line when I saw that she had a line of Disney themed polishes. Y'all know I love Disney! 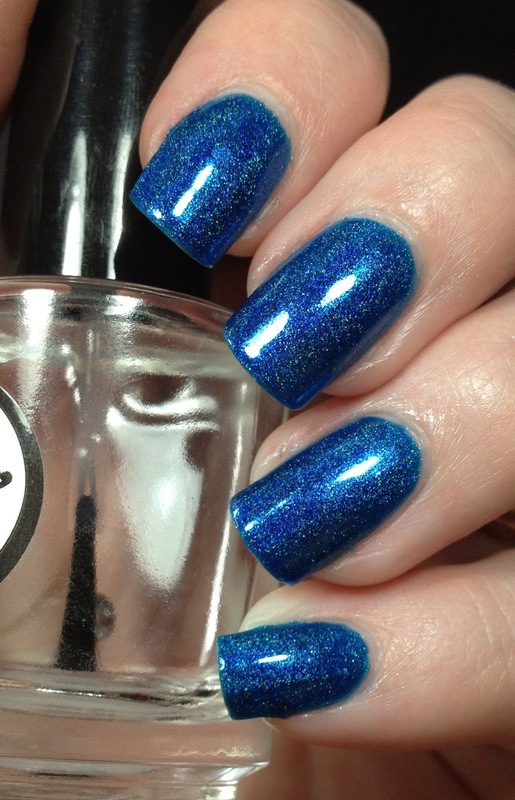 Anyway...I am in a fan group for Ellagee and this is one of the polishes she created for the group. When I saw this I knew I had to have it. 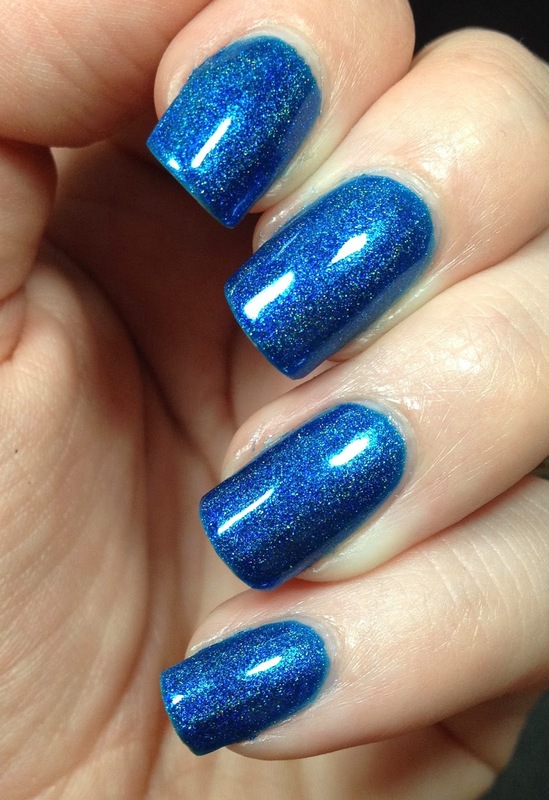 It was holo and blue! This applied like a dream! I did use three thin coats and I topped it with Glossy Glam from Rica.